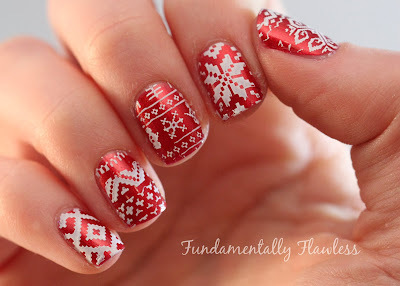 More Christmassy nail art today - and, unusually, on my right hand! 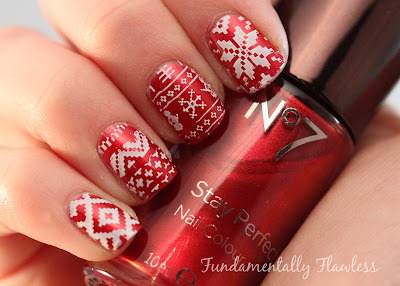 I used a base of No 7 Salsa with stamping from MoYou Festive Collection stamping plate 04 and Konad white polish. Have you tried out any MoYou stamping plates yet? Aren't they awesome?! So pretty! I love the shimmering red color you used as a base =) TFS!